The International Association of Sufism is non-profit organization, and a DPI/NGO associated with the United Nations. Members of IAS have participated and presented on topics related to faith-based initiatives and social justice at conferences and meetings at the UN Headquarters in New York, and are in dialogue with other faith leaders regarding issues of global concern. 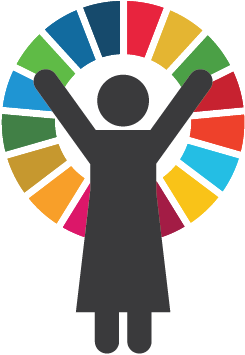 As an active human rights advocate, IAS disseminates information focused on Human Rights, Social Justice, Education, Women’s Rights offered and organized by the United Nations. 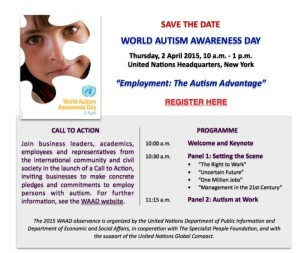 Organized by the United Nations Department of Public Information. 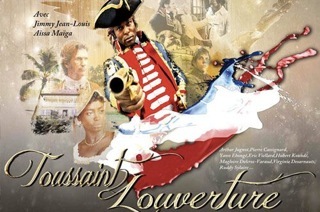 Co-sponsored by the Permanent Mission of Haiti to the United Nations. Registered guests can pick up their tickets at the UN Visitors Entrance, on 1st Avenue at 45th Street, starting at 6:00 pm on 27 February. Join UNAIDS for a special event to commemorate World AIDS Day and the commitment to move forward together to end the AIDS epidemic by 2030 as part of the Sustainable Development Goals. The event Moving forward together: Leaving no one behind will also honour the leadership of United Nations Secretary-General Ban Ki-moon and his legacy of leaving no one behind in the response to HIV. The UN Secretary General, President of the General Assembly, and celebrities will attend. The event will take place on 30 November 1100-1200 in the Trusteeship Chamber, and will be open for attendance of member states, Civil society, UN entities and staff. The Regional Bureau for Africa is honored to invite you to the New York Launch of the Africa Human Development Report (AfHDR) 2016 – Accelerating Gender Equality and Women’s Empowerment in Africa. The report has generated a great deal of interest among media, policymakers, and advocacy groups since its global launch on 28 August during the TICAD VI Conference in Nairobi, Kenya. Analyzing the political, economic, and social drivers that hamper African women’s advancement, the report calls for bold policies and concrete actions to close Africa’s gender gap. 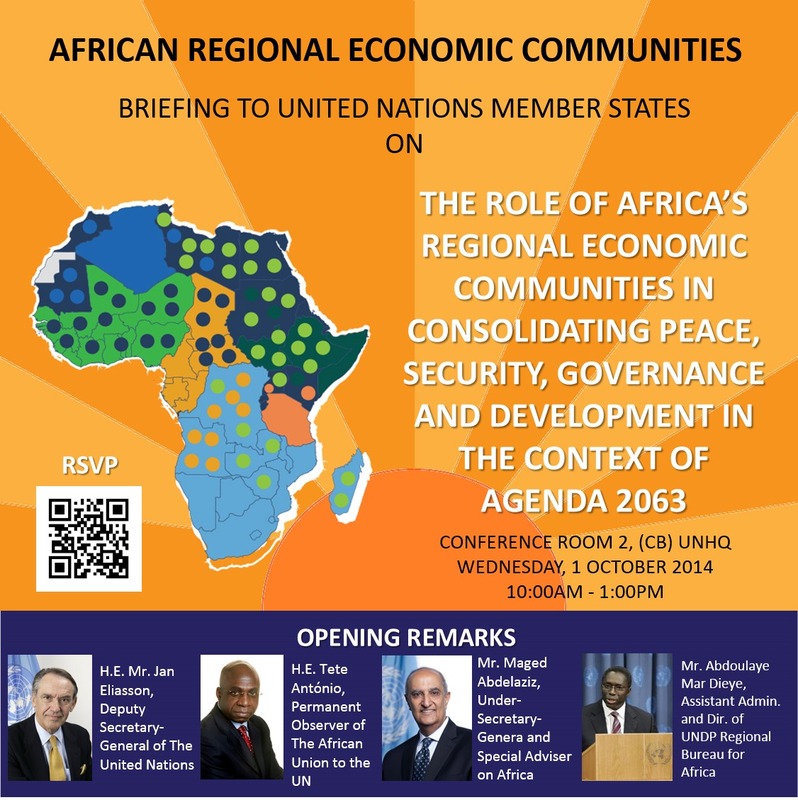 This High-Level Event which will take place on Thursday 13 October during the 2016 edition of Africa Week will be a follow-up to the discussion started in Nairobi. The 2016 ECOSOC Integration Segment (2-4 May, ECOSOC Chamber), chaired by H.E. Mr. Sven Jürgenson, Vice-President of ECOSOC, will address the theme “Implementing the 2030 Agenda through Policy Innovation and Integration”. 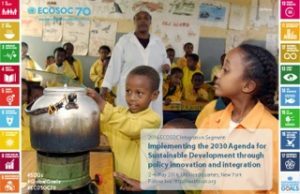 It provides a platform to identify opportunities and challenges in developing integrated and innovative policy tools to implement the 2030 Agenda. H.E. Mr. Taavi Rõivas, Prime Minister of Estonia and UN Secretary-General Ban Ki-moon will participate in the opening of the event. The first session, “My Perfect Country“, a BBC World Service programme will be aired in collaboration with the Institute for Global Prosperity, University College London. The event will bring together high-level representatives of the Member States, the UN system, civil society, academia and the private sector. This coming Sunday, April 10 at 12 noon, on WOR-TV, Channel 9, the public affairs program, “New Jersey Now,” hosted by the Media Subcommittee’s Jim McQueeny, will air an 8-minute segment focused on the upcoming 66th UN DPI/NGO Conference in Korea. Featured guests are Jeff Brez, Chief of NGO Relations and Advocacy at UN DPI, and Dr. Mary Norton, professor and executive director, the Center for Global Academic Initiatives at Felician University. Ahead of the scheduled election in Burkina Faso later this year, the top United Nations political official has warned that the international community will not tolerate any obstacle to the transition. The Department of Political Affairs’ presence on social media is relatively new but clearly growing. DPA joined Twitter, the platform that now counts the vast majority of the UN’s 193 Member States as participants, in 2012. As the DPA Twitter account nears 100,000 followers, Politically Speaking looks at how some in the UN use this powerful platform. A sneak peak at some of the photos that will soon be showcased in UN political offices. 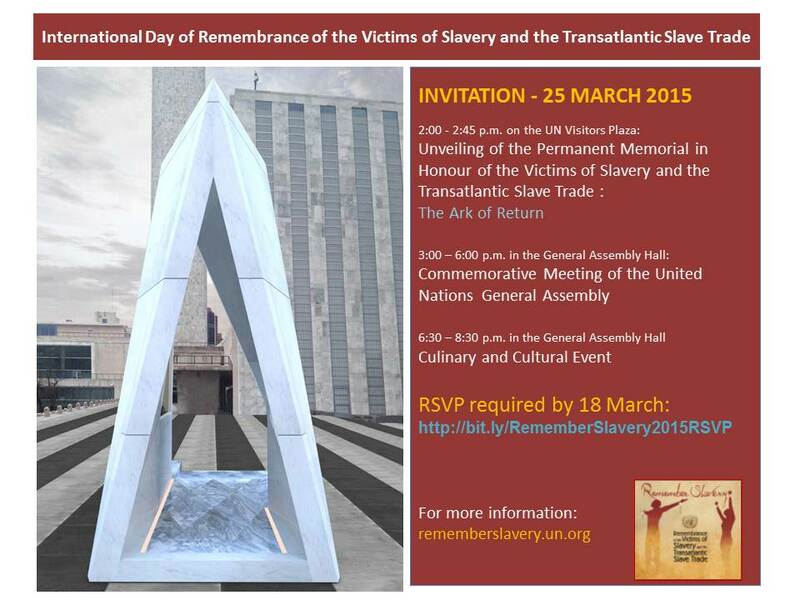 · Ambassador Michel Spinellis, Permanent Representative of Greece to the United Nations. · Mr Getachew Engida, Deputy Director-General of UNESCO. · Mr Joel Simon, Executive Director, Committee to Protect Journalists (CPJ). · Dr Agnes Callamard, Director, Global Freedom of Expression & Information, Special Adviser to the President, Columbia University. · Ms Nadia Bilbassy-Charters, Foreign Correspondent, Al-Arabiya News Channel and MBC TV, Board of Directors of International Women’s Media Foundation. The United Nations General Assembly adopted the Resolution on Safety of Journalists and the Issue of Impunity at its 68th Session on 18 December 2013 (A/RES/68/163). This landmark Resolution “condemns unequivocally all attacks and violence against journalists and media workers, such as torture, extrajudicial killings, enforced disappearances and arbitrary detention, as well as intimidation and harassment in both conflict and non-conflict situations”. The Resolution, first in the UNGA directly addressing the issue, also proclaimed 2 November as the International Day to End Impunity for Crimes against Journalists. UN-NGLS is pleased to invite you to the first meeting of the Leading Group on Social and Solidarity Economy. 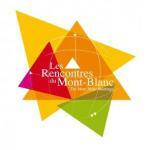 This meeting is co-sponsored by the Permanent Mission of France to the United Nations and the Mont-Blanc Meetings – International Forum of the Social and Solidarity Economy Entrepreneurs. The Leading Group on Social and Solidarity Economy (SSE) was created in 2013 with the aim to promote the SSE worldwide, making this form of collective entrepreneurship and cooperative economic relations accessible to all people, and increasing the recognition of this economic model in innovative development policy debates and practices. The Leading Group on SSE is currently composed of 5 Member States (Colombia, Ecuador, France, Luxembourg, Morocco, and Québec as non-member observer), the 20 UN agencies in the UN Inter-Agency Task Force on SSE (including UN-NGLS), as well as international civil society networks working on SSE. Promotion of and support to SSE enterprises and organizations worldwide. Please find the event program here. African Regional Economic Communities briefing to United Nation member states on the role of Africa’s regional economic communities in consolidating peace, security, governance and development in the context of Agenda 2063. Wednesday, October 1, 2014, 10:00 a.m. – 1:00 p.m. Download the PDF here. In his latest interview, after almost two years at the helm of the Department of Political Affairs, Jeffrey Feltman surveys recent United Nations efforts to prevent and resolve tensions around the world. Responding to questions about Syria, the Central African Republic and Ukraine, the Under-Secretary-General provides insights into the toolbox DPA employs as it seeks to strengthen the prospects for peace and security. The UN’s political chief also reflects on his transition from being a U.S. diplomat to a United Nations official, bringing to bear the universal values of the organization and the collective weight of the international community. Read the interview. In its just-published report to donors, DPA looks back on a year of unprecedented levels of voluntary funding in support of its wide-ranging activities to prevent and resolve crises around the globe. As part of the 2014 Commemorative activities for the International Day of Remembrance of the Victims of Slavery and the Transatlantic Slave Trade, you are cordially invited to the screening of the Film “Toussaint Louverture” by Philippe Niang. 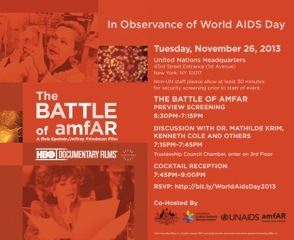 The Battle of amfAR tells the story of the early days of the HIV/AIDS epidemic when Dr. Mathilde Krim and Hollywood star Elizabeth Taylor fought to put AIDS on the agenda and launched the country’s first AIDS research foundation. CCOI is the first point of entry in the UN for the international entertainment industry. We provide film, new media, television, and documentary professionals around the world with access to information about the work of the UN and its priority issues. The UN system is represented in every corner of the world, and CCOI provides a gateway to UN Headquarters, its field operations and UN agencies. The International Day of the World’s Indigenous People (9 August) was first proclaimed by the General Assembly in December 1994, to be celebrated every year during the first International Decade of the World’s Indigenous People (1995 – 2004). For more information, please visit the International Day of the World’s Indigenous Peoples’ website. 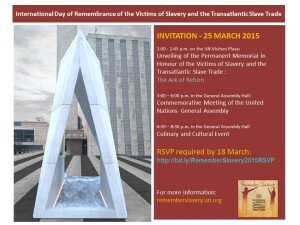 We also invite you to read the message of the Secretary-General for this day. 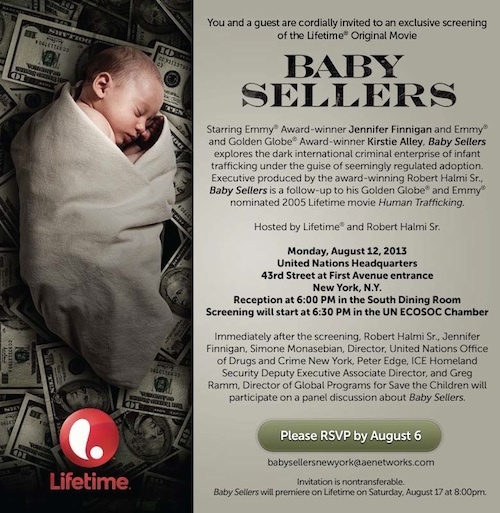 On Monday, August 12th at 6 p.m. at United Nations Headquarters, Lifetime Television Network will be holding an exclusive VIP reception and screening and panel discussion for their upcoming film, “Baby Sellers”, which deals with baby trafficking. IAS thanks all who contributed towards Nelson Mandela’s July 18th Day of Service. With your generosity, we were able to raise $350, which was donated to Marin Interfaith Street Chaplaincy to provide food for the street people in Marin on July 18, 2013. This year is the 25th anniversary of the Committee against Torture. This body — along with other UN human rights mechanisms such as the Subcommittee on Prevention of Torture and the Special Rapporteur on Torture — is vital to strengthening a victim-oriented approach that also includes a gender perspective. This effort was further strengthened by the adoption this year of a UN Human Rights Council resolution focusing on the rehabilitation of torture victims. Please find here the official message from the Secretary-General for the International Day in Support of Victims of Torture 2013. On 13 June 2013, we start the 100-day count-down to the International Day of Peace, which is celebrated on 21 September each year. We want to share with you the message that the Secretary-General has issued for the day, in which he calls governments, civil society, and other stakeholders to support peace-related projects, as well as other relevant information on the International Day of Peace. The message can be accessed through the International Day of Peace website and read in all 6 official languages. “Since the UN’s creation, the international community has not seen a conflict with the same level of globally widespread catastrophe as the Second World War, which motivated governments toward its creation. Unfortunately, the “scourge of war” has not disappeared. Now, nearly 70 years after the Charter’s signing, ongoing violent conflicts continue to inflict unimaginable suffering around the world. On May 15, 2013 the United Nations, governments, NGOs, educational institutions and the public at large celebrated the International Day of Families. The Day was first proclaimed by the General Assembly 1993, and “reflects the importance that the international community attaches to families as basic units of societies, as well as its concern regarding the situation of families around the world.”The 2013 observance focused on what can be done to encourage the further development of both social integration and intergenerational solidarity. These themes will also be highlighted during the 20th anniversary celebrations of the International Year of the Family in 2014. A Briefing held at the UN brought together a diverse panel to discuss how making progress on both these fronts can enhance the role of the family in development. The panel looked at how social integration efforts can best be applied at local, national and international levels, and assessed the role NGOs and civil society activists can play in promoting action on behalf of families. The theme of this year’s World Press Freedom Day, “Safe to Speak: Securing Freedom of Expression in All Media,” aims to rally international action to protect the safety of every journalist in every country and to break the vicious circle of impunity. 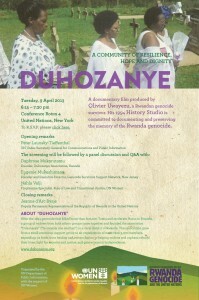 You are cordially invited to the screening of a documentary film to commemorate the Rwanda Genocide. Tuesday, 9 April 2013 – details provided in flyer. The Department of Public Information will be organizing two Model UN Workshops. The first one will take place at the UNIS Vienna from 8-11 July for MUN programmes in Europe and the second will take place at UN Headquarters in New York from 26-29 August for any MUN programme around the world. Celebrating the 51st session of the UN Commission on Social Development, UNAIDS, with the permanent mission of Kenya and Discovery Chanel Education Partnership, will host a special screening of the award winning film “Inside Story.” The dramatic film captures the struggles and triumphs of a young soccer player living with HIV. “For billions of people around the world, faith is an essential foundation of life. It provides strength in times of difficulty and an important sense of community. The vast majority of people of faith live in harmony with their neighbors, whatever their creed, but each religion also harbours a strident minority prepared to assert fundamentalist doctrines through bigotry and extreme violence. These acts are an affront to the heritage and teachings of all major religions. They also contravene the Universal Declaration of Human Rights, which affirms the right of all to freedom of thought, conscience and religion. It is imperative that the moderate majority is empowered to stand firm against the forces of extremism. But, this can only be achieved through strong leadership. Next month at its forum in Vienna, the Alliance of Civilizations will continue its efforts to unite faiths and cultures. Whether on the world stage or in their communities, religious and cultural leaders have a responsibility to speak the language of tolerance and respect. This is a central message of World Interfaith Harmony Week. We must also reach out to young people with a message of hope. Too often marginalized, jobless and facing a future of uncertainty, youth can be easy prey for fanatics offering a sense of cause and community. We need to expose the invalidity of this lure and offer a compelling alternative. Further content will be added in coming days, including video interviews with USGs Hervé Ladsous and Ameerah Haq. This is the first year that the UN Peacekeeping 2012 Year in Review has gone real time with an end-of-year “Year in Review” online, and marks progress toward richer and more interactive content on the UN Peacekeeping website – aiming at both specific target audiences such as Member States and international organizations, as well as the wider online public. Time: 12:30 p.m. to 2:30 p.m.
On 5 November 2001, the UN General Assembly declared 6 November of each year as the International Day for Preventing the Exploitation of the Environment in War and Armed Conflict (A/RES/56/4). For information on the International Day for Preventing the Exploitation of the Environment in War and Armed Conflict, as well as the message of the Secretary-General please follow the link below. 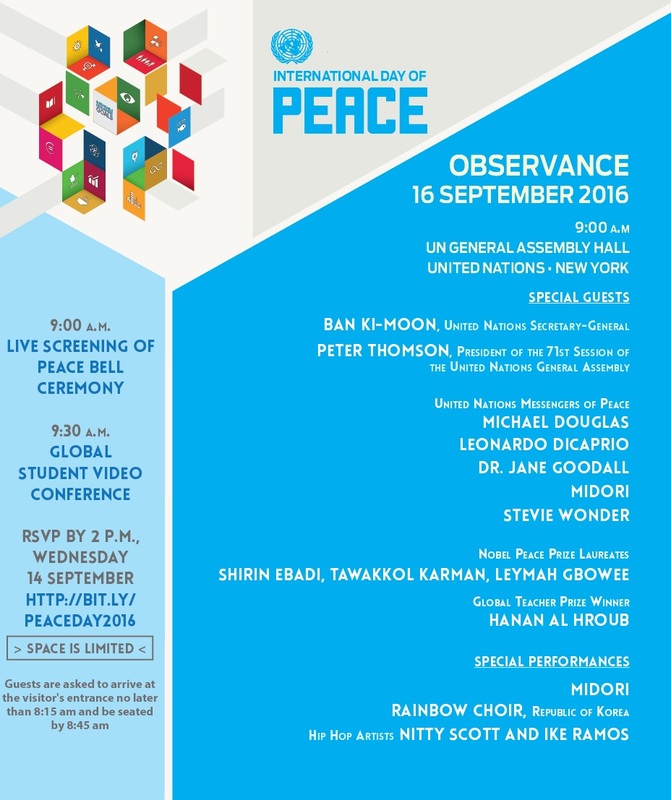 In celebration of the 67th anniversary of the establishment of the United Nations, the 2012 UN Day Concert: “A Message of Peace,” featuring UN Messenger of Peace Stevie Wonder, will take place on Wednesday, 24 October 2012 from 7:00 p.m. to 9:00 p.m. in the General Assembly Hall at UN Headquarters in New York. The 2012 UN Day Concert: “A Message of Peace” will stream LIVE VIA WEBCAST at http://www.unmultimedia.org and will premiere simultaneously on the BET, Centric, VH1 Soul, VH1 Classic and Palladia television channels in the United States on Saturday, February 23, 2013 at 7 p.m. The United Nations Secretary-General has called for States and civil society to re-affirm commitments to nuclear disarmament, and to ensure that this common end is reflected in national budgets, plans and institutions. This year once again, on the occasion of his birthday, the United Nations General Assembly will pay tribute to Nelson Mandela, acknowledging his contribution to the struggle for democracy and the promotion of a culture of peace throughout the world. 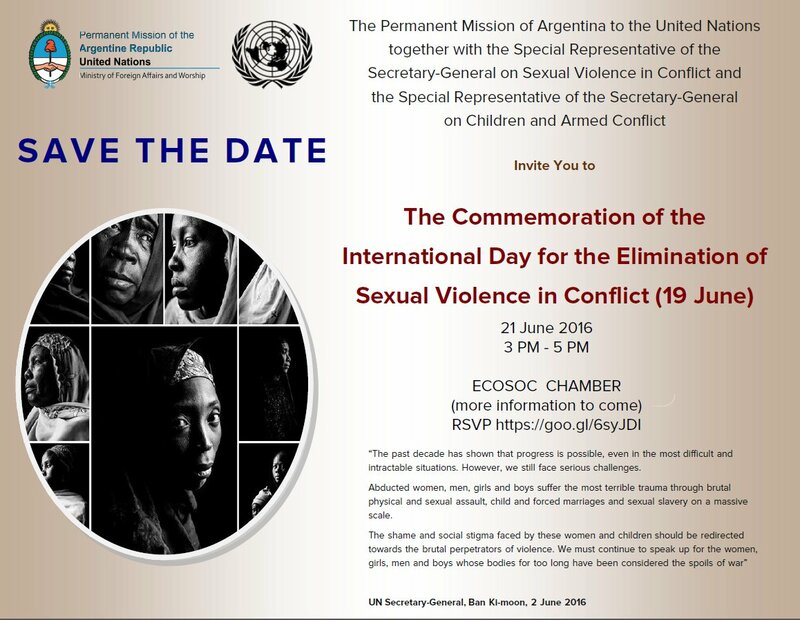 All member states and observers, UN system entities and civil society are invited to attend this special event. Please R.S.V.P. to gillet@un.org no later than c.o.b. Friday, 13 July. A limited number of tickets will be available on a first-come first-serve basis. This morning the Secretary-General chaired a meeting of the High Level Task Force on Global Food Security. The Secretary-General welcomes the strong outcome from Rio+20 on food and nutrition security. 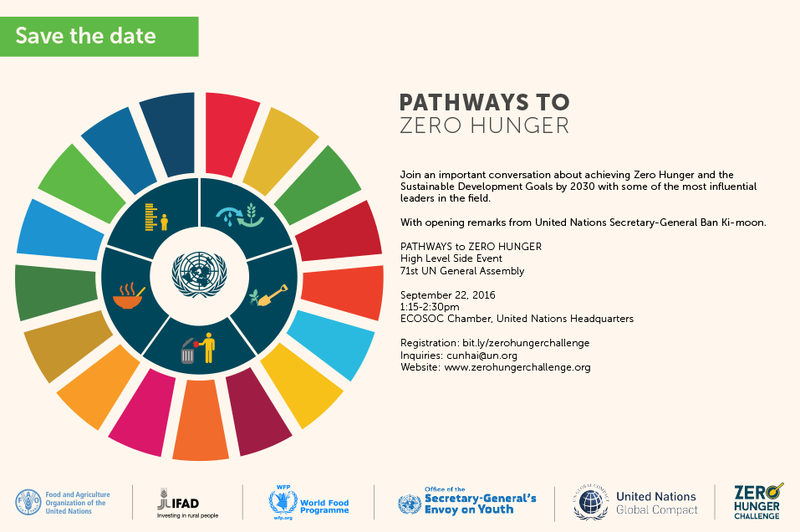 Following the launch of the Zero Hunger Challenge last week, the High Level Task Force will be reoriented to focus on the Challenge’s five objectives as a guide for a coherent UN system approach to food and nutrition security. The Secretary-General noted that since it was established in 2008, the Task Force had made progress in devising a common comprehensive framework for action for the UN system in food and nutrition security, particularly during recent food crises. 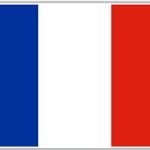 It helped forge united positions among its member agencies in Rio and at the G8 and G20 summits. The High Level Task Force also supports the Committee on World Food Security as the primary governance body for food and nutrition. But with close to 1 billion people still experiencing chronic hunger, he urged agencies, governments, businesses, civil society organizations and the scientific community to eliminate hunger in our lifetimes. 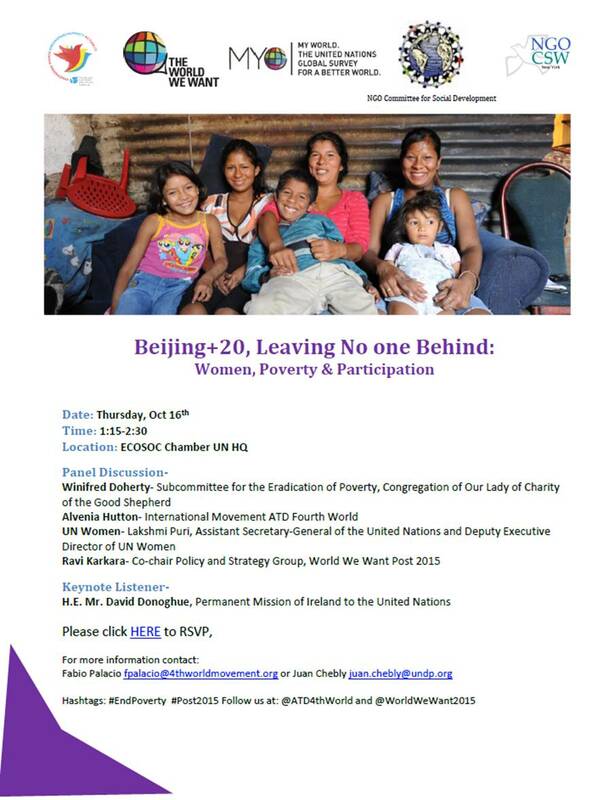 We invite you to attend the United Nations General Assembly Interactive Dialogue on Prevention of Human Trafficking and Protection of its victims, especially women and children, on 3 April 2012 from 10-1 and 3-6 in Conference Room 2 of the North Lawn Building of the UN Headquarters in New York, invitation attached. 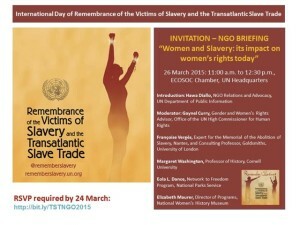 This event will feature an interactive discussion with leading personalities in the fight against modern day slavery. The United Nations Office on Drugs and Crime (UNODC) is the lead UN agency fighting all forms of human trafficking. UNODC is the guardian of the UN Protocol to Prevent, Suppress and Punish Trafficking in Persons, Especially Women and Children, and manager of the UN Voluntary Trust Fund for Victims of Trafficking in Persons. UNODC works with governments, academia, think tanks, foundations, the private sector, media, and NGOs to combat human trafficking by raising public awareness, engaging in preventative activities, enhancing the capacity and skills of criminal justice professionals and policymakers, and assisting victims through the UN Voluntary Trust Fund for Victims of Trafficking in Persons, Especially Women and Children. Human Trafficking is a 32 billion dollar a year business, its profits second only to drugs and arms, with most of its victims women and girls. This event is also open to the public with advance registration. 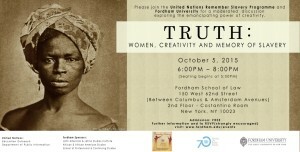 To attend please email castillos@un.org or call 212-963-5631. This year, International Volunteer Day on 5 December sees a number of special events to mark the tenth anniversary of the International Year of Volunteers (IYV+10). All over the world, different stakeholders will celebrate volunteering and engage in related debates through conferences, ceremonies, marches and other events. On 5 December, at the United Nations General Assembly, Member States will discuss volunteering under the item ‘Social Development’. The United Nations Volunteers (UNV) programme will launch the first State of the World’s Volunteerism Report and will organize two side events with stakeholders. These will be devoted to exploring partnerships for volunteering, and to think ahead on advancing volunteering beyond 2011. 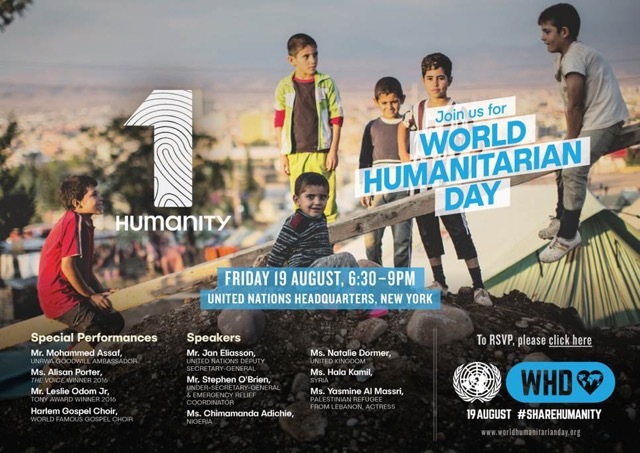 The day will close with the opening of a multimedia exhibition on ‘Volunteers of the World’ at the UN visitors’ lobby and a reception for all partners. 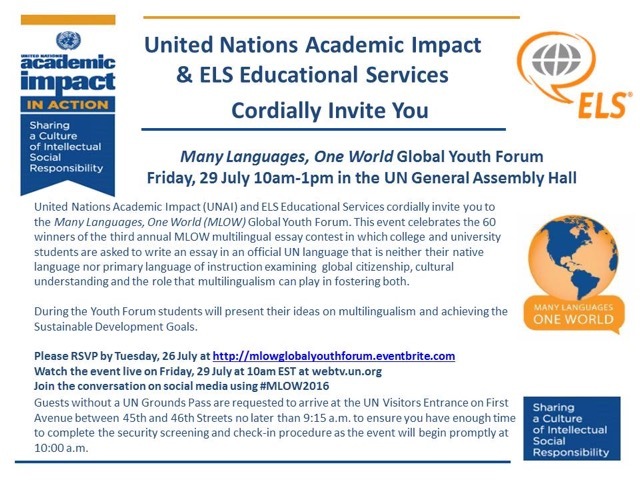 We hope you can join us at the UN in New York but if you cannot please feel free to spread the word among those colleagues you feel should be part of this important celebration. UNV will provide you with more detailed information in due course. We would welcome your representatives to attend the day. Please confirm your presence by filling in the online form at the following link: http://www.surveymonkey.com/s/5_Dec_NewYork by 28 November 2011 latest. Please note that all attendants require an entry pass to access UN premises. 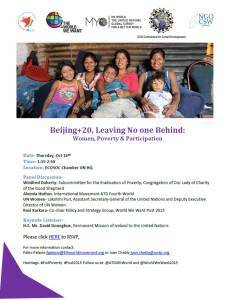 UNV is unfortunately unable to cover any costs associated with your participation at these events. We are excited to announce the new UNU Legitimacy Series, comprising four workshops examining the legitimacy of the United Nations, providing a platform for critical discussions with academics and public intellectuals about issues of legitimacy as they arise in various aspects of the work of the United Nations. The four workshops are scheduled as follows: Legitimacy and the United Nations on May 23, Legitimacy and Civil Society on May 26, Legitimacy and the Security Council on May 27, and Legitimacy and Peace Operations on June 8. Participants can register to attend any or all of the above workshops. Speakers Ian Hurd from Northwestern University and the Woodrow Wilson School of Public and International Affairs, and Tom Tyler from New York University, discuss the following questions: How is legitimacy defined? To what ends can international organizations use their legitimacy to carry out their functions and duties? How does legitimacy translate into an organization’s recognition by its peers and the people it serves? They further argue that legitimation can come in many ways, including through the process of deliberation, from following correct procedures, and by achieving substantive results. Each of these has different implications for the work of the United Nations. The seminar examines ideas about how legitimacy can be gained, how it can be used, and how it can also be lost in the context of the United Nations and its operations. 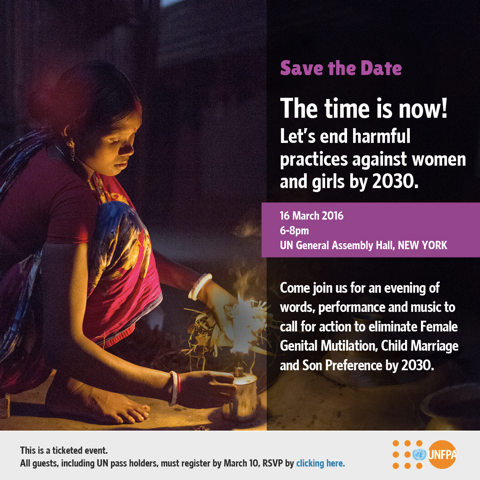 Interested parties can attend the event in person at the UN headquarters, or participate via live webcast on our video portal. Registration can be made via their website. Girl’s Education: An End to Poverty? Venue for the Briefings will be posted as soon as the information is available. United Nations-produced videos relevant to the briefing theme are usually screened at 10:00 a.m. on the morning of the briefing. For briefing information please call the DPI/NGO Information Line at +1-212-963-7232, or e-mail dpingo@un.org. 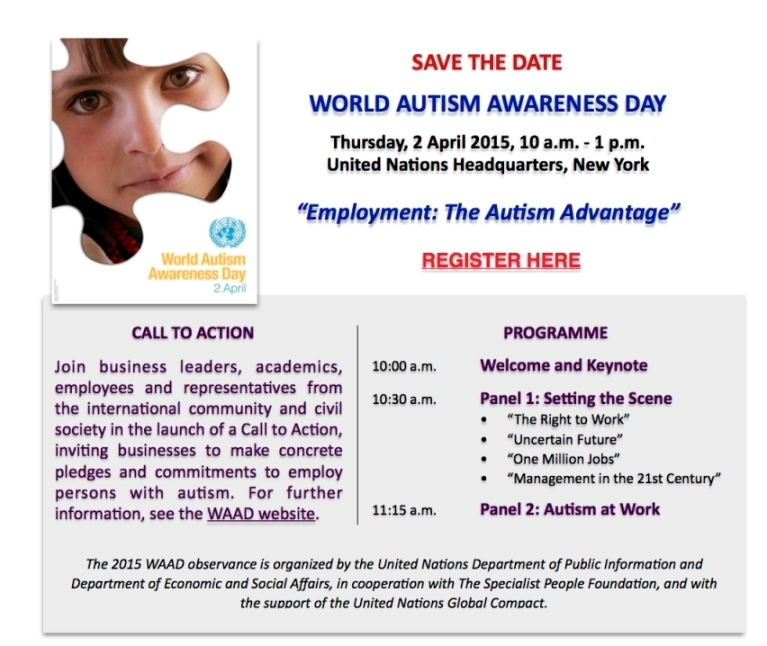 To receive the briefing information electronically and to be added to our e-mailing list, please e-mail dpingo@un.org. You can also visit the DPI/NGO Section website at www.un.org/dpi/ngosection, where an archived webcast of the briefings may also be available. Should you require a guest pass to attend an NGO briefing, please fax your name and affiliation to +1-212-963-2819 no later than two days before a briefing. All guest passes should be picked up at the Pass & ID Office on the morning of the briefing, which is located on the corner of First Avenue and 45th Street at the ground level. 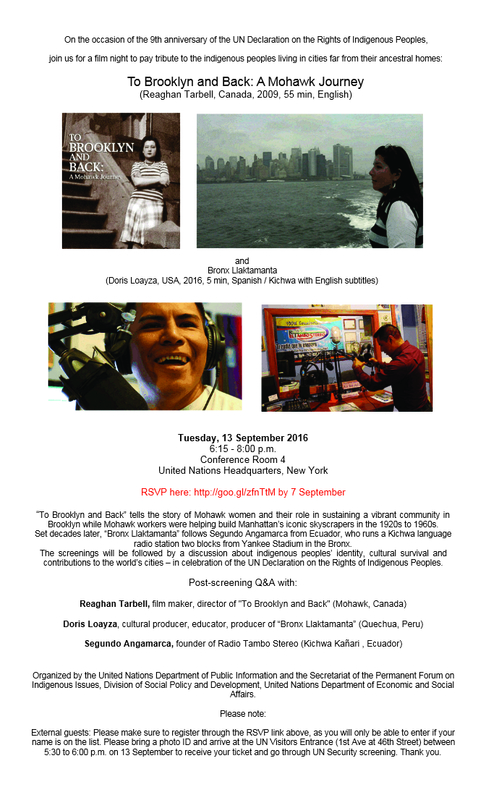 The United Nations University Office at the UN, New York (UNU-ONY) in cooperation with the International Development Law Organization (IDLO), is organizing a panel discussion entitled “A Place to Call Our Own: Land Disputes and the Rights of the Poor”. This forum is intended to highlight some of the knowledge and ideas relating to legal empowerment that have been captured in recent working paper series of IDLO. Some of the key points of discussion will include the unique characteristics linking the diversity of legal empowerment approaches, legal empowerment programming and the interrelation between the state and civil society in the context of legal empowerment of the poor. The panel discussion will feature Thomas F. McInerney, Director of Research, Policy, and Strategic Initiatives, IDLO, Stephen Golub, Editor, IDLO Legal Empowerment Working Paper Series and Adjunct Professor, Berkeley Law School and Central European University, and Dr. Hamid Rashid, Senior Advisor, Legal Empowerment, United Nations Development Programme (UNDP). 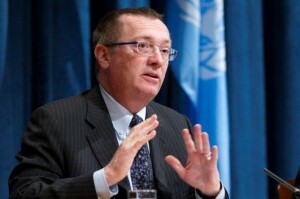 The session will be moderated by UNU-ONY’s Director, Dr. Jean-Marc Coicaud. The event is part of the UNU-ONY Midday Forum Programme, whichoffers an intimate and informal platform to the UN Permanent Missions, the UN Secretariat, UN agencies, academia, NGOs and the private sector, to discuss and exchange ideas and experiences on important topics related to the UN. The United Nations Department of Public Information has been running a multiplatform online campaign on Twitter, Facebook and MySpace called ‘WMD – We Must Disarm’, leading up to the International Day of Peace on 21 September 2009. The UN theme for this year’s IDP is nuclear disarmament and non-proliferation. Each day since 13 June (100 days before the IDP), ‘WMD – We Must Disarm’ issues a “reason to disarm” over Twitter (www.twitter.com/WeMustDisarm). Secretary-General Ban Ki-moon issued the first 10 messages. The UN plans to deliver the 100 messages to world leaders at the General Assembly when they meet in September. Join the campaign on Twitter by becoming a “follower” and by”retweeting” the messages, and sign up to the Facebook cause page (www.causes.com/wemustdisarm) or the MySpace page (www.myspace.com/wemustdisarm). We also urge your communities to sign the Declaration against nuclear weapons which can be found on all three online platforms. See the UN International Day of Peace website for more information. Imagine a room of mirrors, reflecting back upon each of us and within each of our hearts, magnifying the compassion, valuing each other, allowing peace to resonate within and beyond each of us. Imagine that we represent solidarity, standing together with the clear intention that we act in unity toward supporting global peace. We are ere to carry this image within our hearts, reflect it everywhere we go and truly live the essential truth that humankind is responsible for human rights and spirituality is the vehicle for achieving that goal. This is the general message of the work of the International Association of Sufism as a Department of Public Information for the United Nations. This work falls in the domain of humanitarian intervention as a role for civil society in that each of us at the International Association of Sufism is working for one goal of peace. We work in prisons, we work with the homeless, we work with mothers and children dying from the AIDS epidemic, and we pray for peace. We represent humanitarian intervention by actively engaging in the resolution of critical conflicts, we stand between the offenders and the offendees and serve to provide an alternative, namely, solidarity in peace. As such, each of us stands as the bridge of resolution, the bridge of understanding and knowledge. The work of the International Association of Sufism with the United Nations invites each of us to our common point of understanding each other, namely, knowledge. As the world suffers from overcrowding, deforestation, pollution, technological melt downs, competition, violence, HIV, poverty, hunger to name a few current human conditions that the majority of the world struggles under. The world suffers as the individual suffers, as the society suffers. The individual spirit reflects the collective spirit. Sufism offers the world a comprehensive insurance plan – no deductible necessary. It is a plan that is inclusive and brings meaning rather than rhetoric. It acknowledges the significance of life and the value of peace for all humanity. The Sufi strives in every moment to be in service to Divine, in this service is the lived expression of inner peace and presence of heart. In this service is the lived expression of compassion, human rights, and responsibility. The intention in action leads to healing, change, communication, and understanding. With knowledge, we can stand together in solidarity and create a civilized world of peace and cooperation built on mutual respect and responsibility. Imagine a reality of solidarity in peace among us. In an effort to help keep interested stakeholders informed on the latest developments and events leading to the UN Conference on the World Financial and Economic Crisis and its Impact on Development taking place in New York from 24-26 June 2009, NGLS has launched a dedicated weekly ‘bulletin’ up to the Conference. 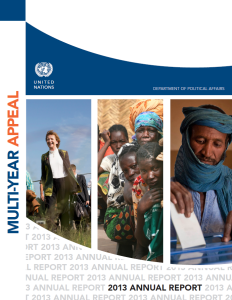 This sixth issue features an article on two relevant reports recently issued by the UN. It also contains several links to various reports and perspectives from the UN system and civil society. Readers are also reminded that registration for civil society representatives closes on 5 June. World Environment Day 2009, June 5th. The World Environment Day is aimed to promote awareness of the environment and give a human face to the environment threats, involving persons as agents of change towards sustainable development. In this context, the Permanent Mission of Mexico will screen a documentary titled “Between Fire and Water”, that deals with the question of water in Mexico City. fire, the four fundamental elements of the planet. With a population of more than 20 million inhabitants, Mexico City is today one of the largest cities in the world. Surrounded by active volcanoes and subject to frequent earthquakes, and with its drained lakes and channeled rivers, Mexico City finds itself precariously situated “between fire and water,” subject to menacing seismic shifts, excessive stress on its water supply, floods, suffocation, multiple forms of violence–all this despite its many impressive accomplishments, which allow everything to continue functioning, more or less. Today water management is critical for maintaining life in Mexico City, as it is throughout the world. This film shows how sustainability in Mexico City has begun to develop, and how the most critical issue of water management can be handled in the future, thanks to a new awareness of the need to balance the four elements of the world. The United Nations Department of Public Information today launched the first-ever online version of the Yearbook of the United Nations – the world Organization’s flagship reference publication. The new website – unyearbook.un.org – provides free public access to the 59 volumes of the Yearbook collection, detailing the work and achievements of the United Nations system over the first 60 years of its existence (1946-2005). New useful features and volumes will be added as they become available. The launch of a Web-based version of this extraordinarily rich resource of information about the UN system took place at the opening of first-ever UN Book Days, organized by the Department on 9 and 10 October 2008 at UN Headquarters to showcase information products and services of the United Nations system and intergovernmental organizations. The new site incorporates a user-friendly search function, allowing users to locate any Yearbook reference using key words, phrases or document symbols, by year or range of years. Search results can be displayed in plain text or as a printable PDF file. It is expected that the new website will not only serve as a strong research tool, but it will also help users better understand global issues as they affect them today. It will broaden the Organization’s outreach to the public, increasing awareness of, and support for, the United Nations throughout the world. The Yearbook of the United Nations remains the most comprehensive and authoritative work on the Organization. Each Yearbook volume provides analysis, is fully indexed, and includes the texts of, and votes on, all major General Assembly, Security Council and Economic and Social Council resolutions and decisions. Yearbook chapters are currently divided into five parts covering political and security questions; human rights; economic and social questions; legal questions; and institutional, administrative and budgetary questions. The online version reproduces all Yearbook volumes up to and including the 1,682-page 2005 edition. For more information on the Yearbook and access to the entire Yearbook collection, visit http://unyearbook.un.org. For more information on the UN Book Days event, go to http://unp.un.org/bookdays.aspx. The Yearbook of the United Nations, 2005 and earlier editions are available for purchase at the UN Bookshop and through UN Publications at https://unp.un.org/default.aspx. Contact: UN Yearbook Unit, Tel. (917) 367-9326, email: unyearbook@un.org. The International Day of Older Persons is observed each year on 1 October since the General Assembly passed resolution 45/106 on 14 December 1990. This day is an opportunity to celebrate the contribution and to evaluate their current situation of older persons in society. On 16 December 1991, the General Assembly adopted the United Nations Principles for Older Persons (resolution 46/91), which encourages Governments to incorporate the principles of independence, participation, care, self-fulfilment and dignity into their national programmes (http://www.un.org/ageing/un_principles.html). First observed in 1992, WMHD is officially commemorated each year on 10 October around the world. This year’s celebration will focus on making mental health a global priority for all people and governments in all countries. Since mental disorders affect nearly 12 percent of the world’s population and one out of every four people around the world experience some kind of mental illness in his or her lifetime, mental health should be considered a priority. Moreover, high prevalence of mental health concerns creates a heavy burden on individuals, families and communities that requires a mobilization of human, social and economic resources to provide access to effective and humane treatment for people with mental disorders. In promoting advocacy and action, WMHD will focus on the need for increased resources for mental health, treating and preventing mental disorders, and impacting the mental health systems in countries through overcoming barriers to improve mental health services.